Talixo finds a suitable taxi and the best limousine offers within the categories Economy, Business and First Class. Discounts will be displayed immediately. All offers can be booked immediately and without time delay. Verify the booking details and select your preferred payment method. By clicking "Confirm Booking" button the booking process is completed. 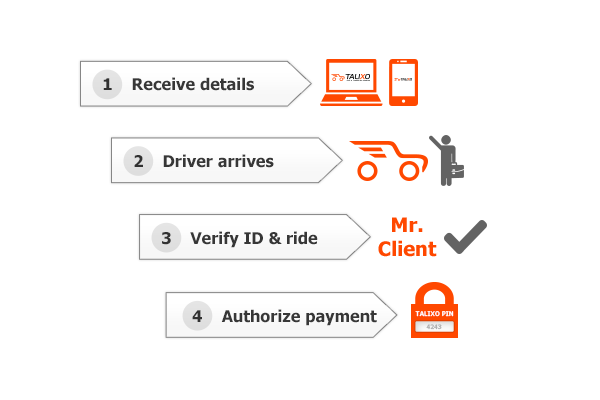 You will receive a booking confirmation with all the ride details and the payment PIN via email.